Do you want to drive highly-qualified prospects to your business by achieving higher rankings in Google for your website? We can help you achieve first page rankings on Google so your business gets found by people who are looking for the services and products you offer. Just as we’ve done for many of our satisfied clients! You may be at the start of your SEO journey, with a brand new website that has yet to rank for anything other than your business name, or you may already have achieved some significant SEO results. Either way the next step is to fully understand where you are now, what your objectives are and what’s needed to achieve them. The most common mistake (and one we see all too often unfortunately) is businesses wasting budget on an SEO strategy that was never likely to succeed in the first place. 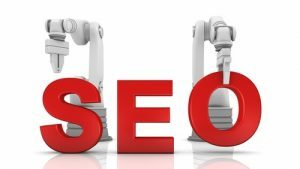 Sometimes SEO fails because targets are unrealistic and impossible for small businesses with limited resources, in other cases what is achievable simply doesn’t produce the expected increase in new business. To avoid this, we have a process that ensures we are on the right track before you go any further down the path of SEO. We’ll also talk to you candidly and in plain English about what you want to achieve, what you should be trying to achieve and how realistic these aims are given all the relevant factors, such as your current level of online visibility, your competitors and your budget. Dan and The Client Factory have provided my firm with fantastic optimisation for our website which is key to us finding new clients. Easy to work with and ahead of the game.